This page explains the A' Prime Clubs which is open for applications from A' Design Award winners. A’ Prime Clubs represent the six dialogue platforms founded by A’ Design Award & Competition to provide a further level of benefit to its members: Extended and continual networking and socialization for professional benefits. The clubs were founded since our research on “motives for participants join awards and competitions” indicated the need of award winners to connect with other professional peers who are performing well in their sectors. The A’ Prime Clubs are: AIBA, ICCI, IDC, ISPM, IBSP and IAD. Each A’ Prime club targets a distinct audience and therefore the eligibility criteria of all clubs are different. For each club, there is a distinct website where outsiders could learn about the clubs, a member index where non-members and members could browse for members, and discussion boards where dialogues and communication could take place. Furthermore, for each club, an executive board exists which is responsible for organizing meetings, conferences, events and initiatives that matches the aims of the club. Please note that the A’ Prime Clubs are not nonprofit organizations: A’ Prime Clubs aim to provide the following benefits to members: 1. Supporting members through exchanges, dialogues and events, and 2. To improve and support progression of members’ professions by proposing standards, initiatives and meetings to help spread information and knowhow in the industries. Main differences from nonprofit associations: 1. Unlike most nonprofit associations and organizations, membership to A’ Prime Clubs are free. 2. Unlike nonprofit associations, membership is not open; it is based on invitation and elimination. 3. Unlike nonprofit associations, the clubs are not totally democratic, but rather the form of management is a hybrid of Aristocracy, Meritocracy and Technocracy. The member index provides further visibility for club members. 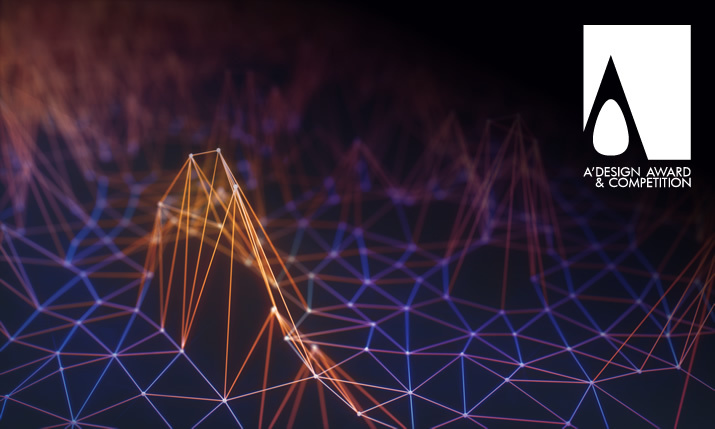 Member index pages are often visited by people who are searching for industry contacts; for example clients who wish to get quotes from many companies, press members who wish to make industry-specific articles. Members can provide 3 layers of information for the member index. First the public listing information; visible to everyone, secondly the private information visible to only other members and thirdly the executive information, visible to board members only. All members are given the member logo which can be integrated to communications. The discussion boards feature three access levels; public, member and executive. The public boards are: “Classifieds and Adverts” where members can post their advertisements. “Jobs and Resumes” where members can post their CV’s or request for human resources. Private member forums include the following: “Tenders and Quote Requests” where members could paste quote requests and exchange tender information, including other competitions and awards, “Suggestions and Involvement” forum where members can get further involvement with their clubs; suggest initiatives, meetings etc. The executive forum is called the “Assembly and Initiatives” and allows the organization of events, conferences and undertaking of endorsement requests. Each club features an executive board who are suggested to undertake initiatives, events and meetings to help with the goals of the organizations. Each club can bestow non-financial patronage and endorsements to initiatives that match with the goals of the club. Furthermore, clubs are provided technical and know-how support for organizing events; members are also suggested to contribute with their ideas for the events held by their clubs. IDC is a worldwide organization of leading architect offices, artists workshops and designer studios and their representatives. The motto of the IDC is design for a better future. IDC is the International Design Club. IBSP is a worldwide organization of leading businesses and institutions in tertiary sector (service providers) including both private and social enterprises that encourages better, philanthropic and ethical practices for service industry. The motto of the IBSP is a better world with good service design . IBSP is the International Bureau of Service Providers. ISPM is a worldwide organization of leading businesses that create finished, tangible products i.e. the product manufacturers. The motto of the ISPM is a better world with good product design. ISPM is the International Society of Product Manufacturers. IAD is a worldwide organization of leading designers, artists, architects, craftsman and creatives. The motto of the IAD is design to advance and benefit mankind. IAD is International Association of Designers. AIBA is a worldwide organization of leading associations, organizations, societies, government bodies and educational institutions that encourages philanthropy in business associations. The motto of the AIBA is Science, Wisdom and Trust for a better future. AIBA is the Alliance of International Business Associations. ICCI is a worldwide organization of leading businesses and institutions related to creativity and design. The motto of the ICCI is advance the world with intelligence and cognition. ICCI is International Council of Creative Industries. 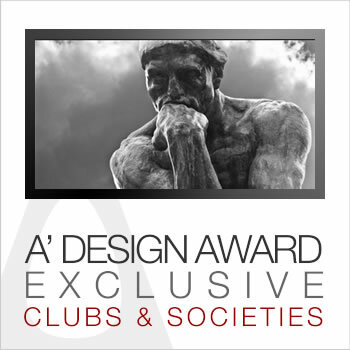 Membership is invite-only, for each A’ Design Award winner, a single and exclusive invitation is provided per profile. The membership is optional and not automated; interested award winners can apply to become a member. Application costs are covered by A’ Design Award & Competition. Members are not obliged to pay any fees for membership. Award winners can apply to A’ Prime Clubs through their control-panels. Award winners can click here to apply for Prime Club Membership or Initiatives. First of all we would like to remind that membership is free of charge and there are no yearly fees. If you join any club, you get several base benefits: 1) First of all you can get a certificate of membership in good standing which is a valuable asset: The membership certificate increases the credibility as well as reinforces brand value. It increases credibility and trustworthiness of your institution as a member of a large design organization and positions you among pioneers of design, and the membership certificate further increases your brand value by demonstrating your brands' will to connect with your peers to push boundaries of arts, science, design and technology. 2. By becoming a member, you will also get a membership badge which you can integrate to your communications, the badge functions very similar to the certificate. 3. Members are listed at the Member Lists of each club, getting further exposure and being easily found by companies, press members and designers who seek credible, established and qualified prospects. 4. There are also many fringe benefits of becoming a member; especially thanks to networking and business opportunities. Furthermore each club is highly democratic and its membership and organization leadership is determined by meritocracy, thus you can apply for administrative positions including the possibility of you becoming the head of one of World's largest and most international design associations. 5. Finally each club takes part in different initiatives such as organization of other design events, conferences, exhibitions, awards and designation programs. Taking part in the clubs can help you get involved and informed about new and unique opportunities. Please kindly note that A' Clubs are not nonprofit associations, rather they have been perceived as international, non-governmental, non-partisan, independent clubs by A' Design Award offerings benefits to its members who share the common missions and goals of the clubs: a better world with good design. A' Design Award and Competition brings designers and brands from different industries together as collaborators rather than competitors for business opportunities.